Dr. Yong Rui is currently Chief Technology Officer and Senior Vice President of Lenovo Group, overseeing Lenovo’s corporate technical strategy, research and development directions, and Lenovo’s corporate Research and Technology (R&T) organization, which covers intelligent devices, artificial intelligence, big data analytics, cloud computing, 5G and smart lifestyle-related technologies. Before joining Lenovo, Dr. Rui worked for Microsoft for 18 years. 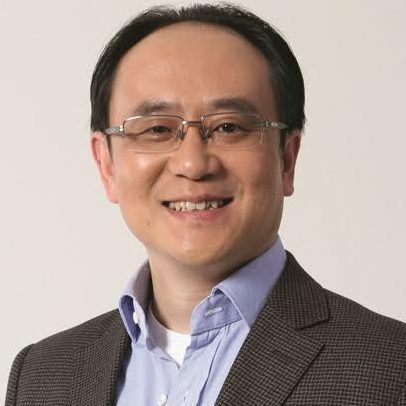 He was Deputy Managing Director of Microsoft Research Asia (MSRA) (2012–2016), GM of Microsoft Asia-Pacific R&D (ARD) Group (2010–2012), Director of Microsoft Education Product in China (2008–2010), Director of Strategy (2006–2008), Researcher and Senior Researcher of the Multimedia Collaboration group at Microsoft Research, Redmond, USA (1999–2006). A Fellow of IEEE, IAPR and SPIE, a Distinguished Scientist of ACM, and a Distinguished Lecturer of both ACM and IEEE, Dr. Rui is recognized as a leading expert in his research areas. He holds 60 issued US and international patents. Dr. Rui is the editor-in-chief of IEEE Multimedia Magazine, an associate editor of ACM Trans. on Multimedia Computing, Communication and Applications (TOMM), and a founding editor of International Journal of Multimedia Information Retrieval (IJMIR). He was an Executive Member of ACM SIGMM, and the founding Chair of its China Chapter. Dr. Rui served as a member of review panels for the US National Science Foundation (NSF), the Chinese National Science Foundation (CNSF), the Australian Research Council, and the Research Grants Council of Hong Kong. He is a Guest Professor of Chinese Academy of Sciences, Peking University, University of Science and Technology of China (USTC), Zhejiang University, and Southeast University. Dr. Rui has extensive R&D experience, and has taken leadership roles in R&D strategy, basic research, technology incubation, and product development. He has shipped numerous technologies and products in Microsoft Bing Search (image search, video search and entity search), Microsoft XiaoIce (微软小冰), Microsoft Satori (entity graph), Microsoft Office (RoundTable, OneNote and Sway), Microsoft OneDrive (photo tagging), Microsoft Hololens (3D reconstruction), and Microsoft Cognitive Services on Azure (face, image and video analysis). Dr. Rui received his BS from Southeast University, his MS from Tsinghua University, and his PhD from University of Illinois at Urbana-Champaign (UIUC). He also holds a Microsoft Leadership Training Certificate from Wharton Business School, University of Pennsylvania.